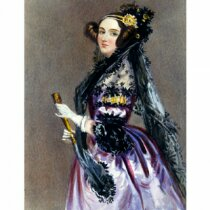 Ada Byron, Countess of Lovelace, was one of the most influential figures in computing history. She is widely considered the first programmer. The U.S. Department of Defense named the universal programming language ADA in her honor. Today, we celebrate an Ada Lovelace Day that highlights the profile of women engaged in science, technology, engineering and mathematics. Ada’s life was a struggle between emotions and reason, subjectivity and objectivity, poetry and mathematics, poor health and tidal energy. The summer of 1833 was the struggle between feeling and reason, art and science for 17-year-old Ada. She was passionate, stubborn and determined to grab life and knowledge with both hands. This is when she was first introduced to Mary Somervile. Somevile was a remarkable woman. She was the first female member of the Royal Astronomical Society, the translator of LaPlace’s works into English and her work was used at Cambridge. The two became friends. Through this friendship she met the charismatic genius, Charles Babbage, a professor of mathematics at Cambridge with whom she shared ideas for a new calculating machine, the Analytic Machine. Babbage was fascinated by the idea of a calculator not only to anticipate but also to predict. 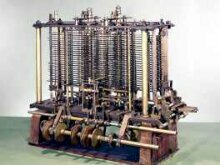 Babbage’s machine operated on mechanical principles which was not a new concept as trains, clocks and factory machines appeared around every corner. However, this machine was able to replicate mental activity with 100% accuracy. Wheels, gears and levers worked together to give a mathematical solution. This was the first automatic calculator. Ada became the Countess of Lovelace when she married Willa King, 8th Baron King in 1835. The pair had three children. While devoting herself to marriage and motherhood, Ada began the serious study of mathematics tutored by the brilliant mathematician Augustus De Morgan, a close friend of Charles Babbage. Babbage and Ada became loyal friends and associates. As her husband once remarked: “Babbage was a constant intellectual companion in whom she found a match for her powerful mind”. Their constant philosophical discussions increased a mutual respect and admiration. During these years of correspondence and exchange of ideas, Ada became something of an expert for the Babbage’s machine and improved the model of the machine he designed. The new model used the idea based on the punch card system of weaving machines whereby a series of punch cards were put into place as a set of instructions. The pattern of the cards determined the pattern. Babbage adapted this to their needs, so that a “functioning card” scheme with the holes was dictated by the type of calculation which would be done by the machine. While the diferental machine could count using only one method, this version could use any method found on the cards. He called it the Analytical Engine. In the fall of 1841, an Italian engineer and future Prime Minister, Luigi Menebrea urged him to hold a seminar in Turin, and later summarized Babbage’s findings in a French article. Ada translated the article into English in 1843 and afterward, persuaded by Babbage, added her notes, which were three times longer than the original article. Her explanation of the device and it’s functions allowed it to become a computer for general use. She also emphasized the difference between the Pascal machine (similar to today’s calculator) and Babbage’s machine (mechanical computer, similar to the modern computer). Notes are lettered A through G. The last describes the algorithm for calculating the sequence of Bernoulli numbers. This algorithm is considered the first algorithm that was written specifically for the computer, giving Ada the title of the first programmer. In general, Ada’s attention focused on the development of “software” applications for the analytical machine. While Babbage focused on arithmetic Ada noted that the numbers represented little more than quantity. The machine was also able to work with numbers, as symbols of algebra, and then express them as a language, graphics, and even music. The machine was able to create the instructions. After the publication of the article, Ada’s health began to decline. She died at age 37 from uterine cancer and was buried, at her request, next to her father.